The question I have is: Why commit 10,000 troops during a key period of political change? We should be leaving the EU at 11pm on Friday 29th and yet we have 10,000 troops in an exercise (cover) from 30th March to 11th April (two weeks)! As UK column pointed out, best to have foreign troops if you need to forcefully crack down on UK populace. Would you want foreign troops diverting military resources during your contingency planning? Incompetence, over-confidence or worst case planning for unrest? 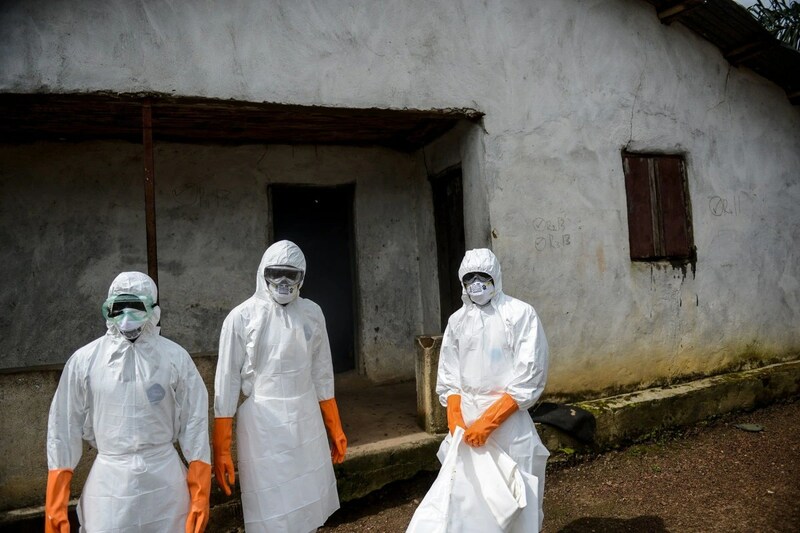 “The Phase II clinical trial of TKM-Ebola-Guinea has reached a predefined statistical endpoint and enrollment has been closed,” the company said in a statement. The truth is, the Chinese are doing with their new Internet police force exactly what all governments would like to do. All of them fear dissension, and all of them—given the chance—would snuff out those promoting it. This is becoming increasingly difficult, of course, and the reason is plain to see. The Internet has fundamentally altered the game, and governments have been left scrambling to stay on top of the rising political awareness taking shape across the planet. Some will undoubtedly use the news of China’s cyber cops to foster the idea of American superiority. But then, China doesn’t purport itself to be the world’s great shining light for freedom and justice. So at the end of the day, when everything is tallied…who’s the real jerk? Note: The West, the defenders of freedom? Really? Bogus wars, false-flags, oh snooping statutes in the US, Canada, UK. “Governments” have reached their expiration dates. It was and still serves as a model of the ruling turds (oligarchs/Banksters/Royal and monied families), to coerce via legal deceptions masking state violence. There is a bitter debate raging in our media on the dangers of not complying with the current “recommended” vaccination schedule. We understand there is serious consideration being given by the Ontario provincial government to remove personal exemptions with regard to the medical practice of vaccination. This would result in the vaccination of children and adults without their informed consent. This is a very significant development in the history of our free and democratic society and ought to be taken very seriously. The ramifications of mandating vaccinations are myriad. Consider that the legislation that would need to be amended includes Ontario’s Health Care Consent Act and the Immunization of School Pupils Act. Canadian Medical Case Law protects voluntary and informed consent to all medical procedures that carry risk. This would be challenged by such a change. The Canadian Charter of Rights and Freedoms grants the fundamental freedoms of conscience and religion, and the legal right to security of the person. These rights would also be challenged by such a change. The consideration of compulsory vaccination of Canadians is a topic that should concern us all. As this is a matter of extreme significance to the future of Canadian society as we know it, the decision we make today will impact the society Canadians live in tomorrow. The two attached documents discuss the above ramifications in more detail. As the stewards of what Canadians value and what keeps Canada an enviable country to live in, we hope you will take the time to read these documents and consider the implications of a compulsory vaccination program. For Canadians, this is a matter of the protection of our fundamental civil rights. We anticipate your earliest response with your action plan of how you will protect our right to Informed Consent and our Charter Rights if the government were to propose a compulsory vaccination program. In a worrying sign, it is not clear where the woman became infected. She doesn’t seem to be linked to any of the people on a list of contacts of other Ebola patients, Kateh said. Note: As mentioned by Case About Bird Flu, was this patient part of the vaccine trials?